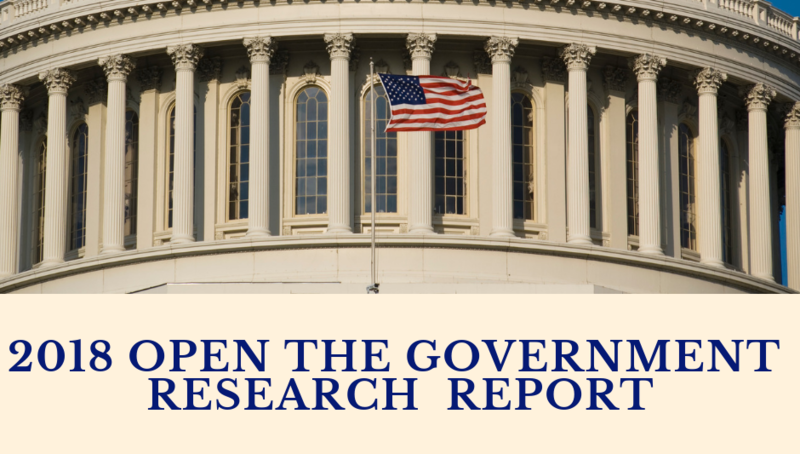 According to a new survey, advocates for stronger government transparency, accountability and oversight can find reason for optimism. While trust in government is low (4.17 on a scale of 1-9 with 1 being not trusted at all and 9 trusted a great deal), two-thirds of the electorate believe government accountability is possible. Moreover, 80% of voters across party lines see the link between accountability and other issues they find important, believing that if lawmakers and public officials are accountable their performance will improve on kitchen table issues such as the economy and health care. Regardless of party, citizens’ top two concerns about government are that lawmakers and public officials do not play by the same rules that average people do and the lack of accountability. Nevertheless, voters also believe that the upside of accountability, oversight and transparency measures would be that fraud, abuse, and corruption are rooted out and that lawmakers and public officials would follow the rule of law and ethics requirements. In addition to the shared belief in the need for greater accountability in government, there is also widespread belief that government information belongs to the public (85-7 believe-do not believe, 60% strongly believe) and secretive decision-making is harmful to democracy (81-7 believe-do not believe, 52% strongly believe). The challenge for advocacy organizations is to harness the intrinsic support for accountability measures while combating the perception that such efforts fail more than they succeed (72%) rather than succeed more often than they fail (17%). Officials getting together on projects with lots of meetings with very little action. Committees with very little solutions. So, in other words, all us little people which, I agree with, are electing these representatives to get on committees that do the complete opposite of what we asked them to do. So, when I hear oversight in committee, I die inside a little bit. To move people from “[dying] inside a little bit” to supporting transparency, accountability and oversight, it is critical to empower voters by offering them solutions and successes. Accountability proposals that resonate most with voters include those that address their primary concerns about lawmakers and public officials including their doubts about whether they play by the same rules as citizens or follow the same ethics standards. Voters also support proposals that would prevent the creation of secret laws that the public does not know about; ensure the government keeps records of officials business; and require lawmakers and public officials to exempt themselves from voting on issues that would uniquely financially benefit them. Americans believe their government should be accountable, yet are doubtful about whether it is possible. While voters’ skepticism presents a challenge, it can also guide NGOs on how best to engage them. We must tap into Americans’ desire for everyone to play by the same rules, and remind them that government information belongs to them. Rather than feeding into the cynicism that contributes to the belief that accountability efforts fail, we must demonstrate to them where such efforts succeed. We must make the case that with greater transparency, accountability and ethics we can improve the public policies that impact citizens’ every-day lives while also creating a stronger democracy. This survey conducted by the Winston Group and Lake Research Partners is a summary of findings from the national survey conducted February 15-16 among 1000 registered voters. In October 2017, four focus groups were conducted in Orlando, FL and Pittsburgh, PA. The Orlando groups, Independents and Republicans, were conducted October 12. The Pittsburgh groups, conducted October 17, included Democrats and middle income voters.